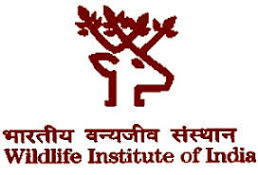 The Wildlife Institute of India, an autonomous institution of the Ministry of Environment, Forest & Climate Change (MoEFCC), Government of India, plans to engage project personnel for the position of Project Scientist on a contractual basis, initially for one year period from the date of appointment that can be extendable up to April 30, 2021 depending on the candidates performance and the project requirement. The project “Knowledge Support to Development of Guidelines, Specialized Field Studies and Training on Human Wildlife Conflict mitigation in India” is funded by Deutsche Gesellschaft für Internationale Zusammenarbeit (GIZ) GmbH, under the Indo-German Technical Cooperation project on “Human Wildlife Conflict Mitigation in India (HWC)” being implemented by MoEFCC and GIZ in India. The project aims to develop national and state level mitigation guidelines for Karnataka, West Bengal and Uttarakhand. The project would also entail the development of Standard Operating Protocols (SOPs) for selected species and issues, in a participatory manner engaging all key stakeholders and develop a monitoring system for human-wildlife conflicts. The work description, essential qualifications, age, monthly emoluments plus admissible allowances for the required positions are given in Annexure 1. <=40 years Candidate will be involved with coordinating the development of policy documents and knowledge products, guidelines and SOPs among the WII experts, MoEFCC, State Forest Departments, and other key stakeholders. The online registration process will open on 18 th June, 2018 and close on 30th June, 2018 which will be the last date of receipt of application.